Jimmy Mann has been performing for most of his life, as a Solo artist, in the fabulous BigShots Duelling Pianos, in stage shows & countless venues in Australia. Performing regularly on cruise ships & teaming up with Elton Jack performing their Tribute to Elton John & Billy Joel. 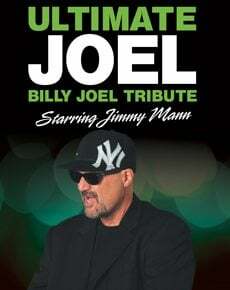 In this, his Personal Tribute to the music of Billy Joel, Jimmy will perform most of Billy Joel’s greatest hits & a few surprise songs that Billy has performed on stage from his favorite artists. Jimmy Mann is here to have fun and have you all singing along to some of the greatest songs ever written……..so come & join the Mann! Book a date with The Tribute to Bo;;y Joel now!!! As this show gets extensively booked out!! !